Cydectin from Fort Dodge Animal Health – Applications for Beef and Dairy Cattle, Internal and External Parasite control, and as an Oral Sheep Drench. Cydectin (moxidectin) Pour-On from Virbac Animal Health , labelled for use in beef and dairy cattle of all ages, is effective against a broad spectrum of important internal and external parasites. This includes protection against the Ostertagia ostertagi (brown stomach worm), the most economically devastating internal cattle parasite in the United States, for 28 days. Cydectin is also effective against grubs, lice and horn flies, and is the only pour-on labelled for control of the common scab mite. Its formulation remains fully effective under wet conditions and is non-flammable. A zero-day slaughter withdrawal and zero-day milk discard increases marketing flexibility. And Cydectin Pour-On (moxidectin) has no impact on dung beetles, which help increase forage availability, improve pasture health, control parasites, and reduce the spread of animal disease. 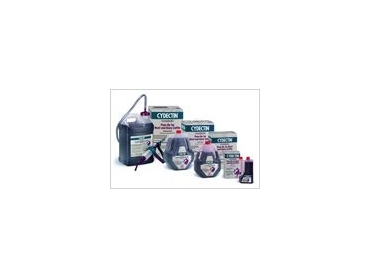 Also included in the Cydectin line of products is Cydectin Injectable and Cydectin Oral Drench for Sheep. Cydectin Injectable is for internal and external parasite control in beef cattle of all breeds and ages including bulls, heifers, brood cows, calves 8 weeks of age and older, and non-lactating dairy cattle, while Cydectin Oral Drench for Sheep is for internal parasite control in sheep. Cydectin Injectable should not be used in pre-ruminating calves or veal calves. Consult the full product labeling for complete directions and important safety information.